As we're now waking up with frost on our windscreens, putting the heating on long before bed and chosing a night in with X factor over a Saturday night in heels.. I now declare it Winter, I.E coat and boots weather. You guys know me well enough by now to know that my coat addiction started long before now. 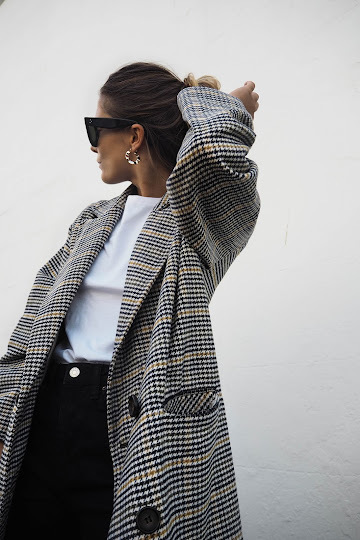 I usually tend to find the absolute Winter gem of all gems in the Summer sales, when we should be shopping for cute little tea dresses and lace up sandals, not forever in search for my coat of the season. 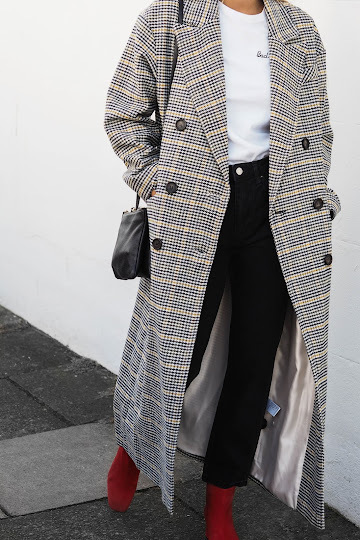 This year I've found my gem, but this time it was found a little later than expected in form of a longline heritage check double breasted coat from Topshop. I've never owned anything like it! 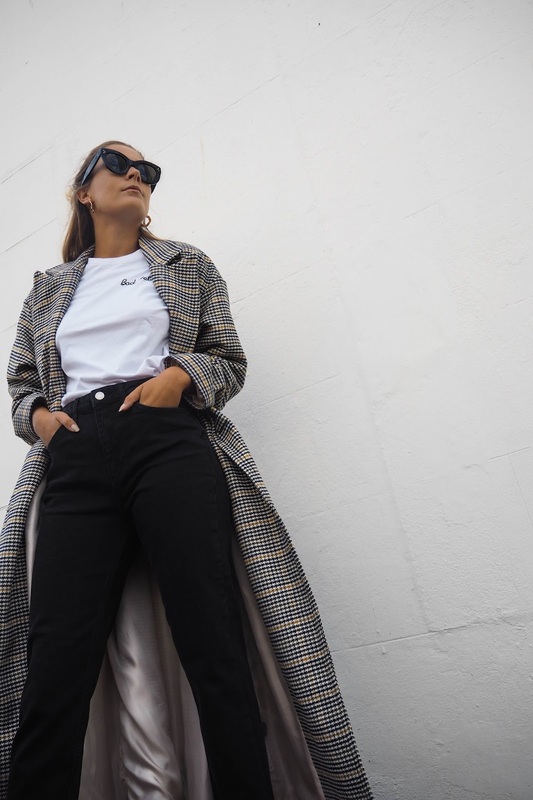 I've always headed straight to Topshop for my new season fix, but never have I ever picked up a piece of heritage/check/tweed and loved it, until now! I don't know if it's the gorgeous long line fit (almost maxi on my frame), the detail of the pattern both up close and from afar, or the combination of the additon of a red suede ankle boot. Either way, my coat fix has well and truly been filled.. for now. 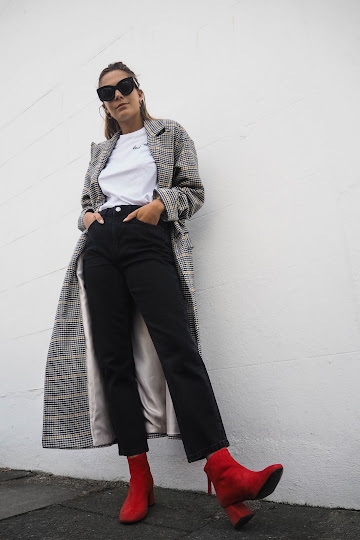 This post was created in collaboration with Topshop, but all words and styling are my own. In love with this post! 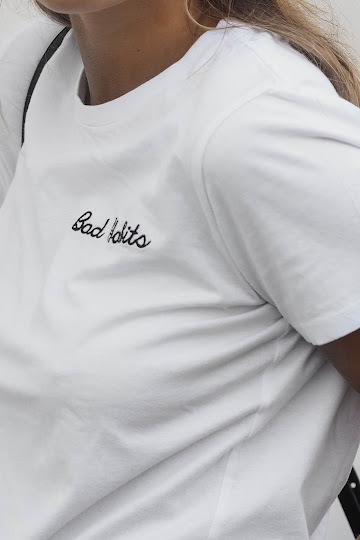 I think the photography is so good.. and that tee.. LOVE IT! Aah! Finding that ONE coat each season is the best. It really is an addiction! 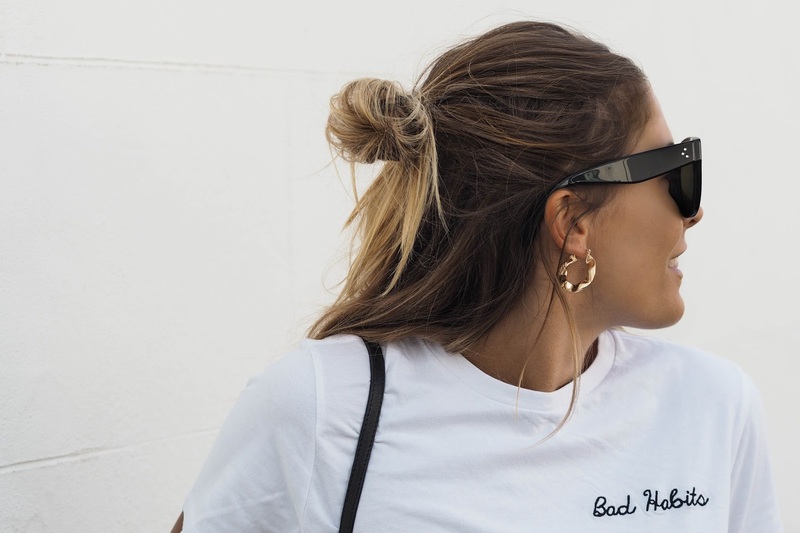 And that tee is going in my shopping bag right now! omg, living for those boots! That coat is beautiful! 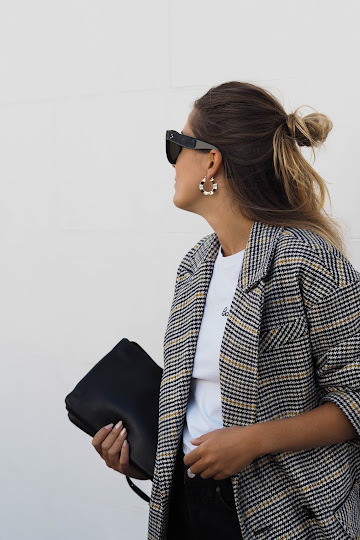 it really adds that bit of texture to an outfit! That was a good buy! This is so cool! 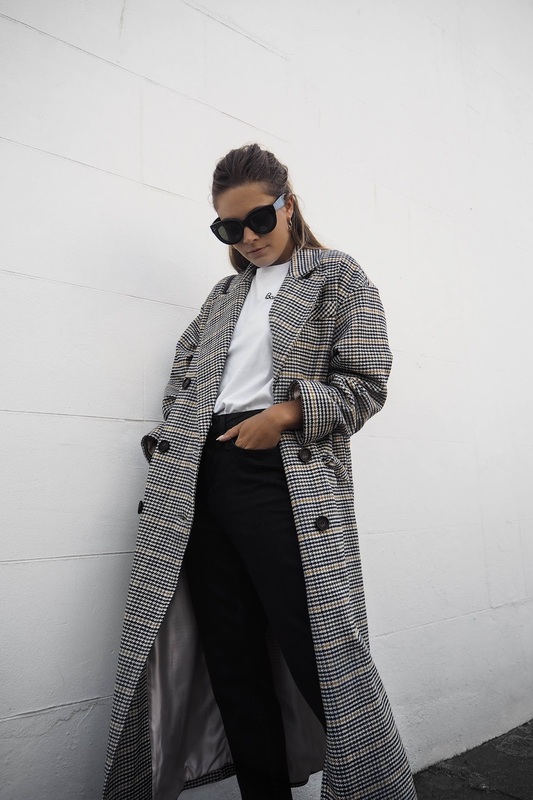 Love this simple look with the oversized coat!! Gorgeous look, the coat and boot combo is just beaut! Love this look, the boots are amazing! Good post. I am the king of bad habits. Like all the Bad habits clothing line, especially the coat that really matches the entire outfit of yours. I think the price of each cloth is enough to buy research papers, quite expensive attire.